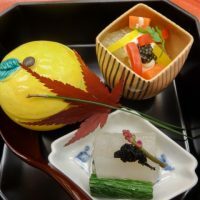 Kyoto’s winter offers dignifying and quaint atmosphere to visitors, compared to gleams of Spring or Autumn. The air is crisp and clean, and you see the locals being excited for the festivities of the winter. 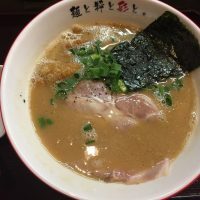 I’d like to introduce you 5 wonderful ways to beat the chills and enjoy the magical season of winter in Kyoto! 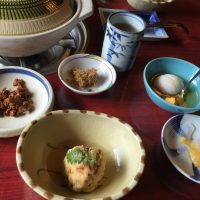 After walking around all day in cold weather, dipping in nice hot spring, or onsen, would be the classic Japanese experience as well as a great treat for your tired body. 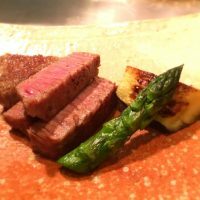 In particular, rotenburo in winter is an absolute must try! Rotenburo is an onsen that is situated outside. Soaking in mineral-packed hot spring water in cold air is an experience beyond any word can describe. 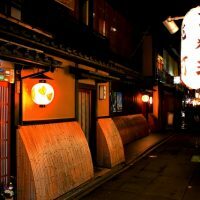 Though Kyoto is not known to be a major onsen destination in Japan, there are a few great areas that offer onsen within the convenience of the city. Kurama Onsen offers both inside and outside hot spring baths. 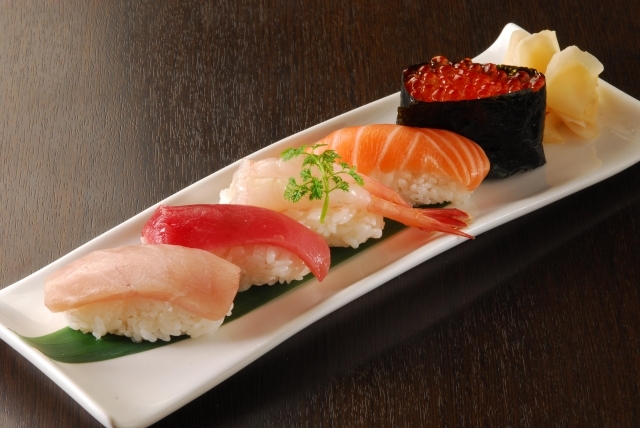 Another option would be Arashiyama area. 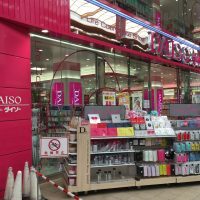 Tenzan-no-yu Onsen, for example, offers a spa-resort like facility where you can spend a whole day, with many themed baths, sauna, restaurant, etc. Others:Free Shuttle Bus is available.You must reserve in advance. Arashiyama Hanatoro is an annual celebration of lights and flowers, where 2,500 lanterns illuminate the scenic streets of Sagano and Arashiyama. 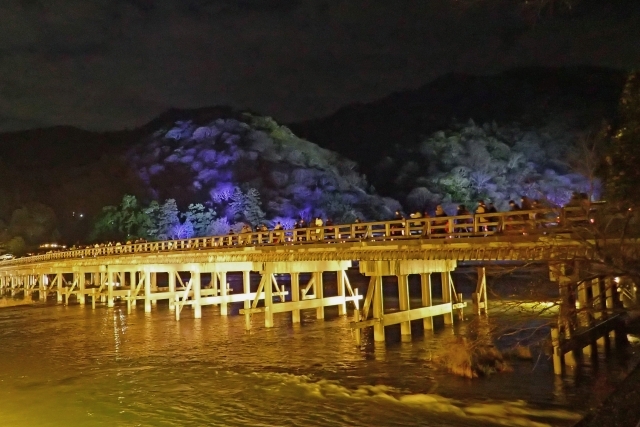 Togetsukyo wooden bridge, which is a central landmark in Arashiyama, as well as paths around the famous bamboo grove are romantically illuminated to welcome visitors. 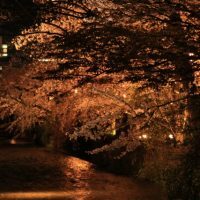 Temples in the surrounding areas, such as Tenryuji temple and Jojakkouji temple, will also be lit up and open to the public at night. There are also beautifully arranged flowers along the paths. 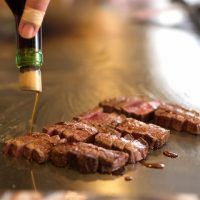 You can take the JR Train Sagano Line to Saga-Arashiyama Station, or take Hankyu Line to Arashiyama Station to get to the area and start following the lantern-lit path. 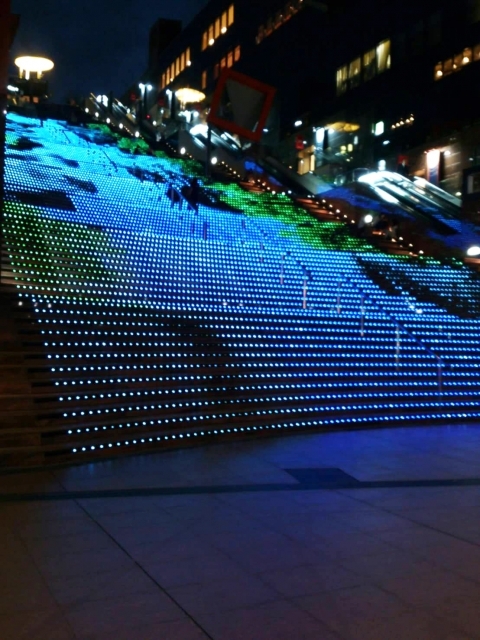 One of the most popular illumination spots in Kyoto exists right in the middle of Kyoto, at Kyoto Station Building. In the winter season between November to February, approximately 15,000 LED will light up various places in Kyoto Station Building. The most popular site of all would be the “graphical illumination” of the grand staircase, which portrays various seasonal images. During the Christmas season, a 22m-tree will appear as a centerpiece of the station. Illuminations can be viewed picturesquely from the Skyway (11th floor). From the top of the grand staircase or Skyway, you can see the Christmas tree as well as the illuminated Kyoto Tower, which stands next to the Station Building, pictures of which are truly magical. Best part of all is that this is absolutely free! Next,let’s enjoy plum viewing in Kyoto! In Japan, Hanami (flower viewing) is strongly associated with cherry blossoms in mid-spring. However, it is believed that hanami tradition in Japan started by admiring plum blossoms. Plum blossoms continue to be important to the Japanese, signifying the first sign of Spring, as plum trees blossom before cherry. From end January to mid March, you will see beautiful blossoms of white to reddish pink, sometimes even covered with snow. 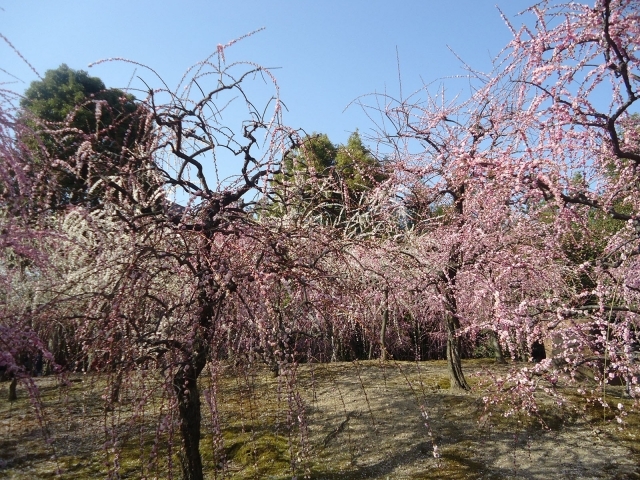 There are several spots that are known for plum blossoms in Kyoto. Kitano Tenmangu Shrine, packed with around 1,500 trees, is one of the perfect places to view plum blossoms, from the beginning of February to the end of March. Another great place is Kyoto Imperial Palace, with its grand park hosting various kinds of plum trees. Tourists can start to admire the plums there from the end of January to mid March. Jonangu Shrine, famous for its gorgeous weeping plums, hosts a plum blossom festival from mid February to mid March. 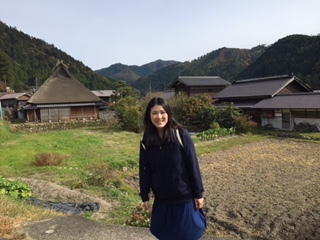 I’ve been to Jonangu Shrine last Feb, and it was amazing. This is a must visit shrine if you like plum blossom with beautiful garden. The Temple of Golden Pavilion, or commonly called Kinkakuji Temple, is a Zen temple structure whose 2nd and 3rd floors are covered completely with pure gold leaf. 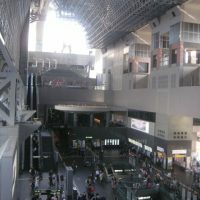 It is one of the most popular structures not only in Kyoto but in Japan. Officially named as Rokuonji Temple, the temple is a World Heritage Site, which attracts visitors from all over the world. The temple, was a retreat villa originally built in 1397 for a famous shogun in the area. After his death, it was converted to a Zen temple according to his death wish. It suffered numerous fires since then, and the current structure dates back to 1955. 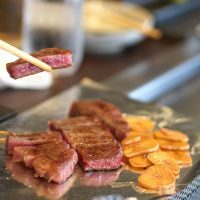 If it snows in Kyoto, this is the place to visit. 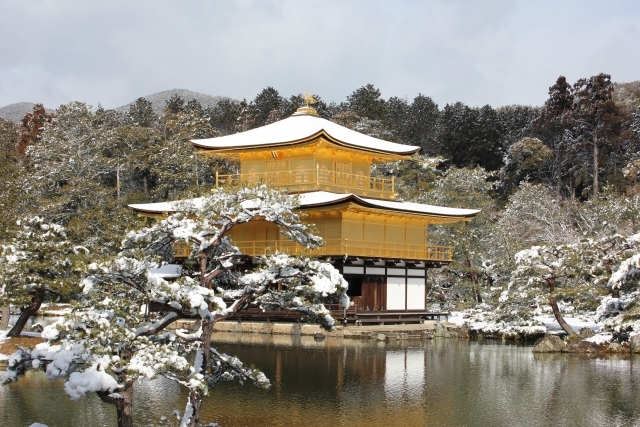 Snow covered Golden Pavilion, is a true treasure. The gold color contrasts very well in pure white snow: It is magnificent yet so serene, people say that they forget the winter chills. Kinkakuji is accessible by City Bus #101 or #205 from Kyoto Station (around 40 minutes), or you can take a Subway Karasuma Line to Kitaoji station (15 minutes) then take a bus (#101, 102, 204, 205) to Kinkakuji Temple. 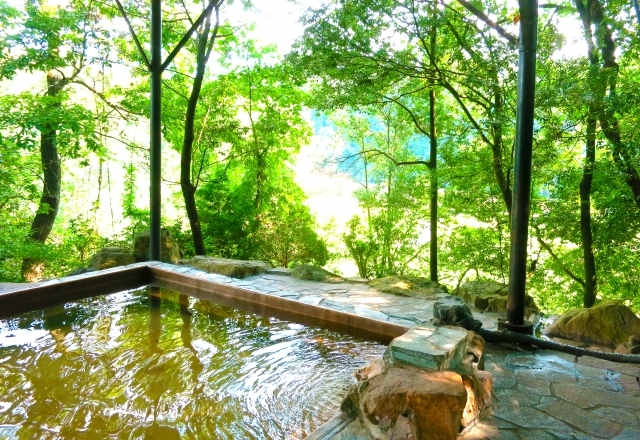 Enjoy Hot Natural Spring ・・・Kurama Onsen and Tenzan-no-yu Onsen are highly recommended. Hanatoro in Arashiyama・・・ You can enjoy annual celebration of lights and flowers. Plum Blossom Viewing・・・You will see beautiful blossoms of white to reddish pink, sometimes even covered with snow. Visitiong Golden Pavilion Temple・・・Snow covered Golden Pavilion, is a true treasure. 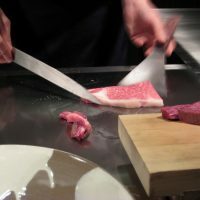 I hope you enjoy the beautiful winter time in Kyoto!